Noryo-yuka is a waterfront deck restaurant that is a summer tradition in Kyoto. 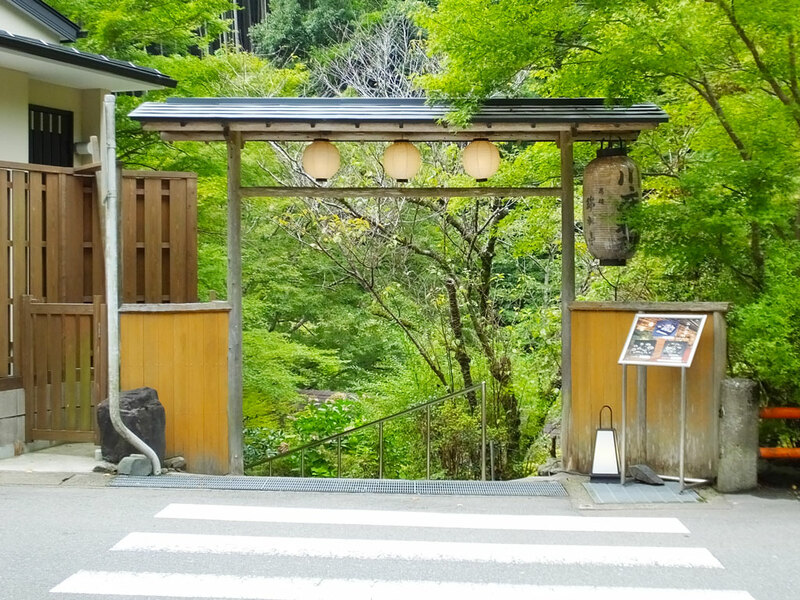 The Kibune area is famous for the noryo-yuka, but it is such a popular spot that sometimes it is hard to find a table. 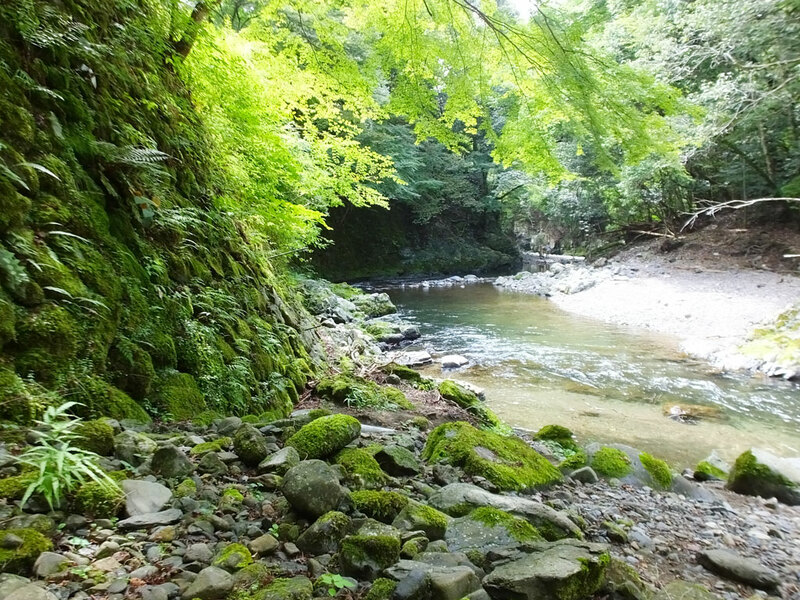 I recommend the Takao area for those who want to enjoy noryo-yuka in a relaxing atmosphere. It takes an hour from the central area of Kyoto City, and it is not very crowded. Takao Kinsuitei is one of the noryo-yuka restaurants in the Takao area. 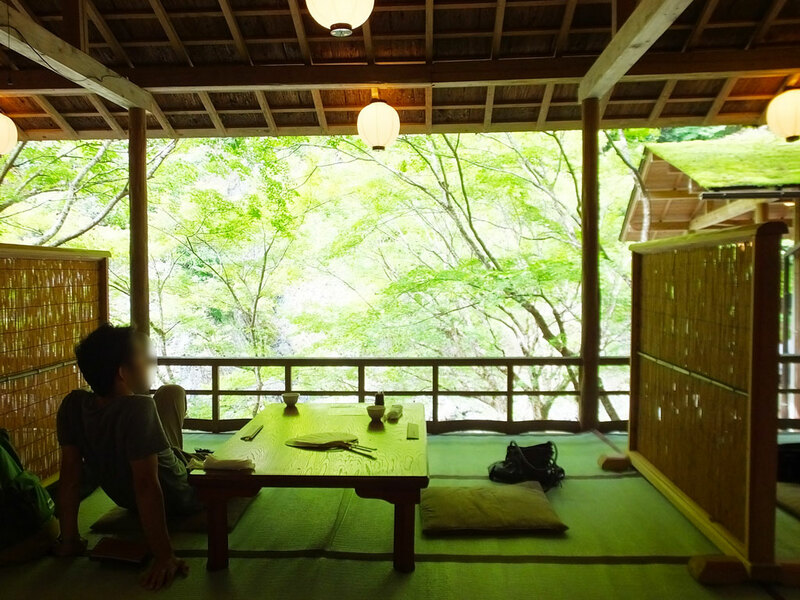 It is a restaurant and a ryokan (traditional Japanese inn). 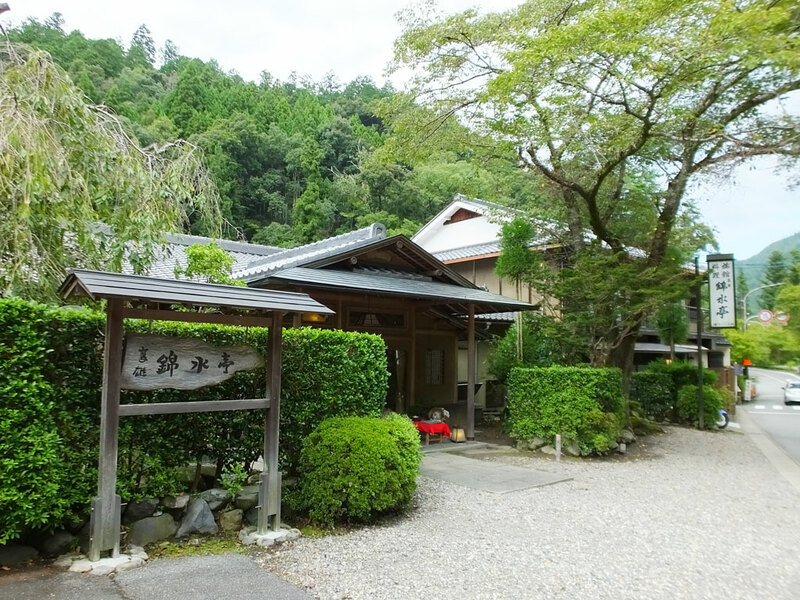 I went there on a day trip (in 2017), but it must be great to stay at the ryokan inn too, because the location is wonderful and the climate is cool and comfortable even in the summer. 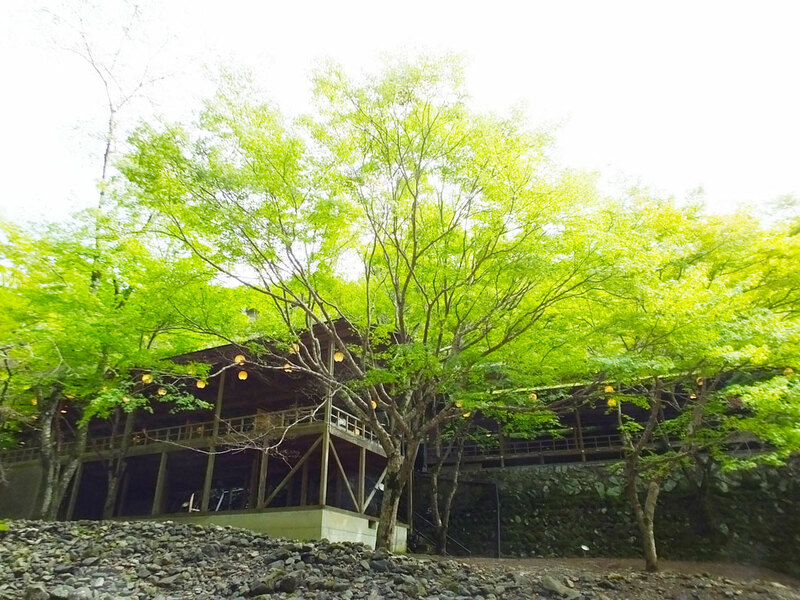 Takao Kinsuitei’s noryo-yuka restaurant is available from May to September. The place is surrounded by lush green trees in the summer. You can see Kiyotaki River from the deck, and you can go down to the river, too. Moreover, you can see lots of fireflies at the river for about a month from around June 10. Seeing beautiful fireflies in the evening is a magical experience that you can’t get in a city. Wear layers or bring a light jacket when you go there in the evening or in the early summer. 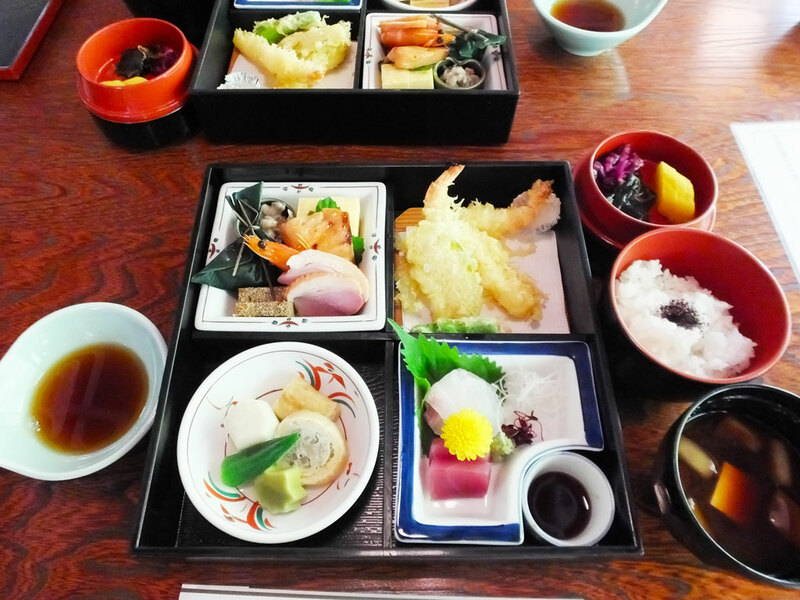 The lunch menu is Shokado Bento (3,800 yen/4,800 yen) and Noryo Kaiseki (a traditional Japanese multi-course meal, 6,800 yen/9,800 yen), and the dinner menu is only Noryo Kaiseki (10,800 yen/14,000 yen) that is more luxurious than one in the lunch menu. Shokado Bento (3,800 yen) is the most reasonable among them, and I ordered it and I was full and content enough with it. Shokado Bento is a meal in a traditional Japanese bento box with a cross partition. It is said that the beautiful black box with a lid inspired the design of ThinkPad. There it is served with rice, miso soup and pickled vegetables. It was beautiful and delicious! I had a really good time at Takao Kinsuitei. 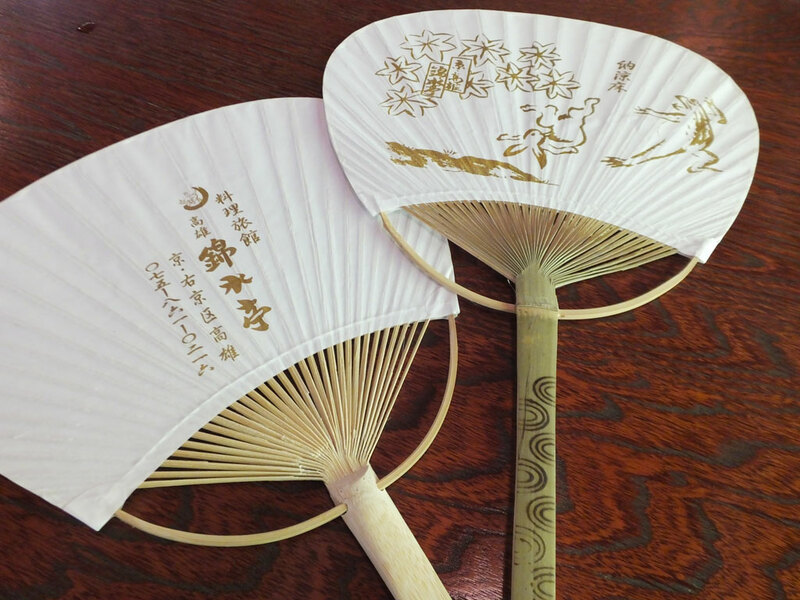 The staffs showed us great hospitality, and they gave us an area map and fans made with bamboo. After the nice lunch, I enjoyed a stroll with the map and fan in my hand. 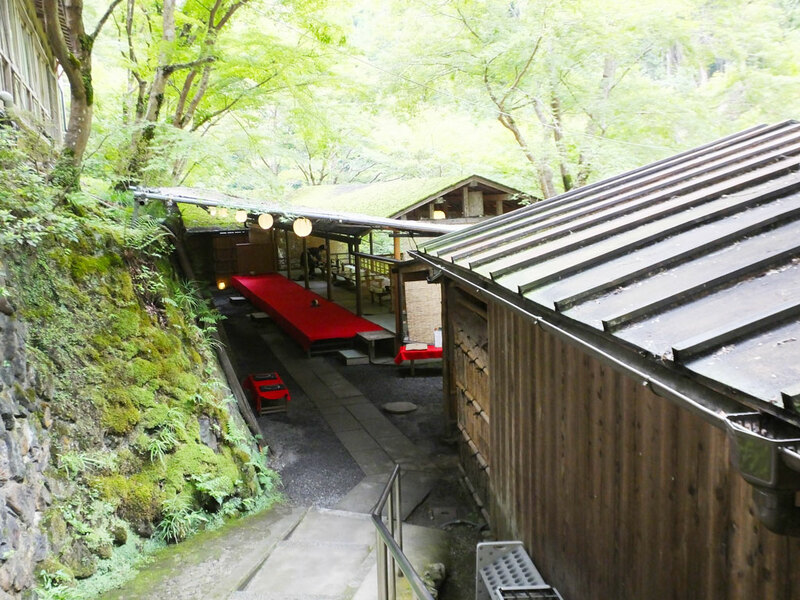 There are Jingoji Temple, Saimyoji Temple, Kozanji Temple, and a 3 kilometer hiking trail called Kin-unkei near there. You can enjoy all day, so why not go there and discover new aspects of Kyoto?